In the beverage industry, the most common use of CO2 is to carbonate soft drinks and soda water. Beer is slightly different as carbonation takes place naturally during fermentation. However, it is often still necessary to re-carbonate beer after filtration to make sure the product stays high-quality. Acetaldehyde – Present in beer but produces an apple off-flavour at high concentrations. DMS – In some pale lagers, this produces the desired taste. But for others, it can present a strong taste of corn. Benzene – This is a carcinogenic compound which, at low levels, is often undetectable by taste or smell. 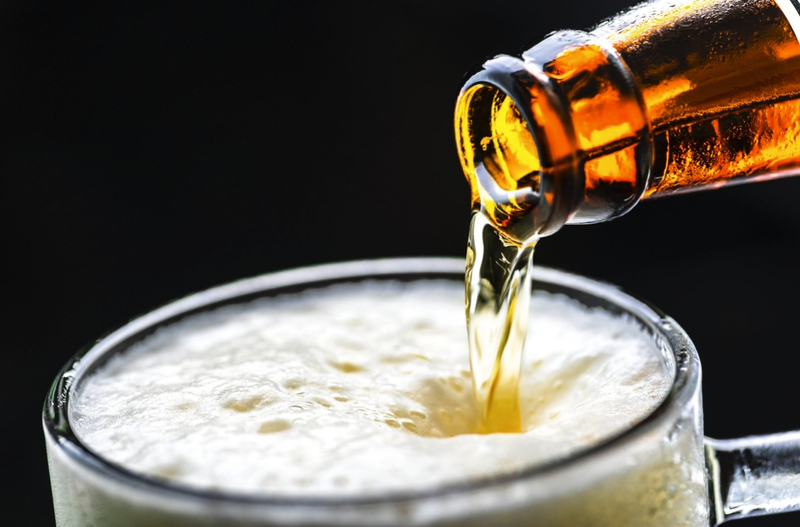 Iso-amyl – This is found in most beers but stronger levels can produce a banana flavour. Oil and grease vapour – The air contains oil vapour from things like vehicle exhausts and industrial processes. It can also come from sources like compressors and transfer pumps. This oil vapour can act as a source of contamination as it is drawn into the compressor intake and passes through the intake filter where it will condense into liquid oil. Rust and pipe scale – This is caused by water found in liquid CO2 storage tanks and distribution piping. As rust and pipe scale builds up, it breaks off into the CO2, leading to contamination. Plasticiser compounds – Liquid CO2 can easily strip plasticiser compounds from hoses and rubber gaskets, leading to contamination. The way to deal with a contaminant in your CO2 will largely depend on what type of contamination is occurring. Rust and pipe scale contamination often occurs because of old piping systems that previously operated with inadequate or ineffective purification equipment. Here, you might need to hire a professional specialist gas company to replace the distribution piping and CO2 tank. With other contaminants, the solution might be to filter your CO2 to purify it. Traditional methods for this rely on passing the CO2 through an active carbon bed, however, this process reduces the gas quality. More modern solutions involve the use of multi-stage purifiers to remove the contaminant and return the CO2 to an industry-approved standard. Smaller suppliers of carbonated beverages, such as craft breweries, may struggle to afford the multi-stage purifiers needed to rid CO2 of impurities once contaminated. Therefore, look at prevention first. Whichever path you choose, it is important you seek the advice of a professional before you do anything. Otherwise, you risk exacerbating the problem and furthering your contaminant issue. Higgins has years of experience with specialist gas system installation. We can install your specialist gas system, minimising the risk of impurities, or upgrade your old one to stop contamination in its tracks. All you need to do is get in touch today on 01625 613 308.